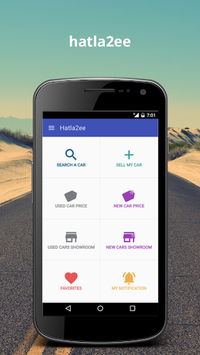 Hatla2ee’s android app provides the fastest and easiest ways to find the perfect car that fits your needs. 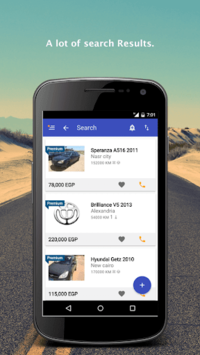 - Sell your car directly, quickly, easily and free to millions of buyers. - Find used car for sale. 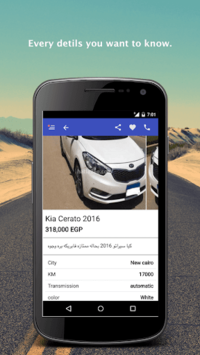 filter your search by manufacturer, price, mileage and a long list of other criteria. Hatla2ee's services are available in the following countries: Egypt, UAE, Jordan, Saudi Arabia, Oman, Yemen, Kuwait, Qatar, Lebanon, Libya and Iraq. Like our free app? Please help us out and take a moment to review us on the Google Play Store.